I have super stubborn straight lashes. They are pretty long alhamdulillah, but never want to stay curled. I did eyelash perming twice but they never stay as beautifully curled as other girls so I still have to depend on eyelash curler. 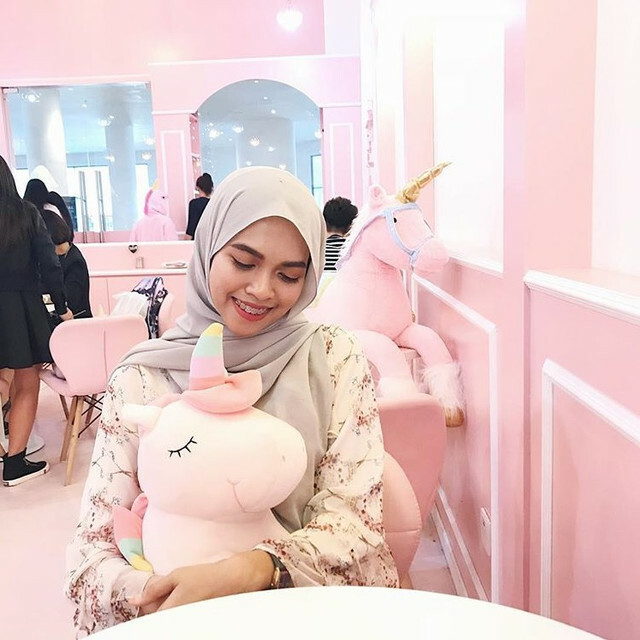 Therefore, I am always on a hunt of a good affordable mascara to replace my super loved one, the Maybelline Rocket Volume mascara that is unfortunately discontinued in Malaysia. After searching of highs and lows of a good drugstore mascara, I decided to try out the Maybelline Lash Sensational. Packaging wise, it comes in this satin-ish pink tube that is in standard size as other Maybelline mascaras. It is priced at RM37 but you can definitely get it for about RM20++ during promotions in the drugstore. 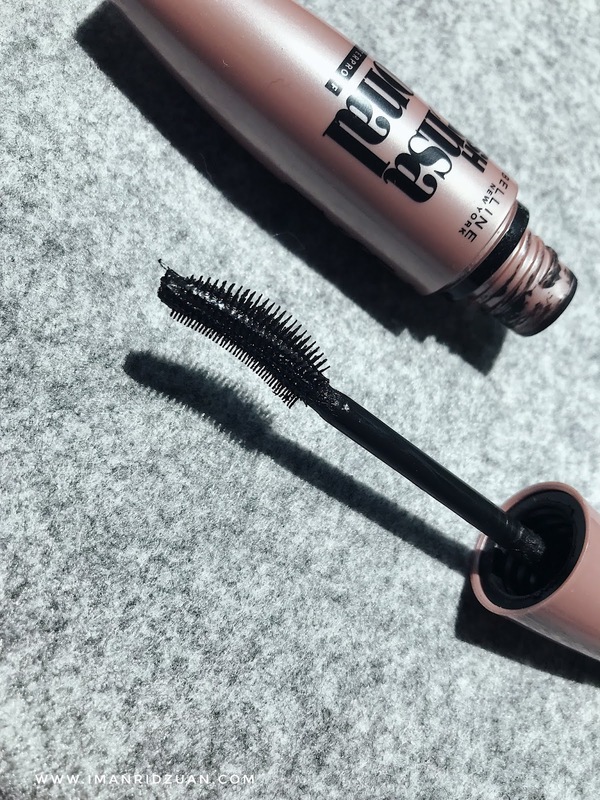 The bristle is unlike any other mascaras that I've tried. It is like a comb for your lashes, but instead of being stick straight, it is curved for easy application. The curvature really helps to get in between each lashes and at both ends of the eyes easier. I really do enjoy the wand. 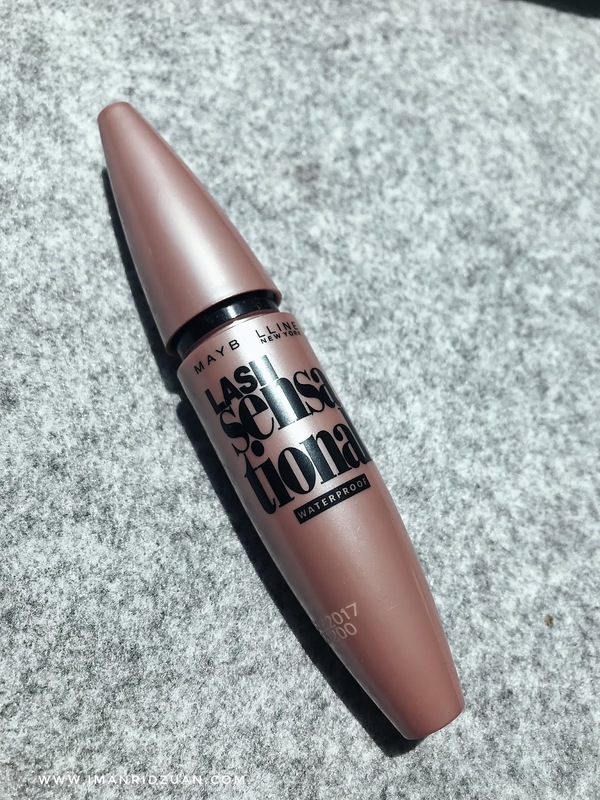 This mascara is formulated as waterproof, so it's a great mascara for an outing that includes water or crying. I can definitely assure you that, because it is hard for even my micellar water to take it off. I have to use an oil based makeup remover to remove it (obviously, it is waterproof mascara lol!). Bear in mind that I already had eyelash perming beforehand, so I do not use an eyelash curler in this wear test. As you can see, there is not much difference between 1 and 2 coats except that it makes my lashes appear thicker, especially on the top lashes. I usually just go with one coat and it is satisfying enough. 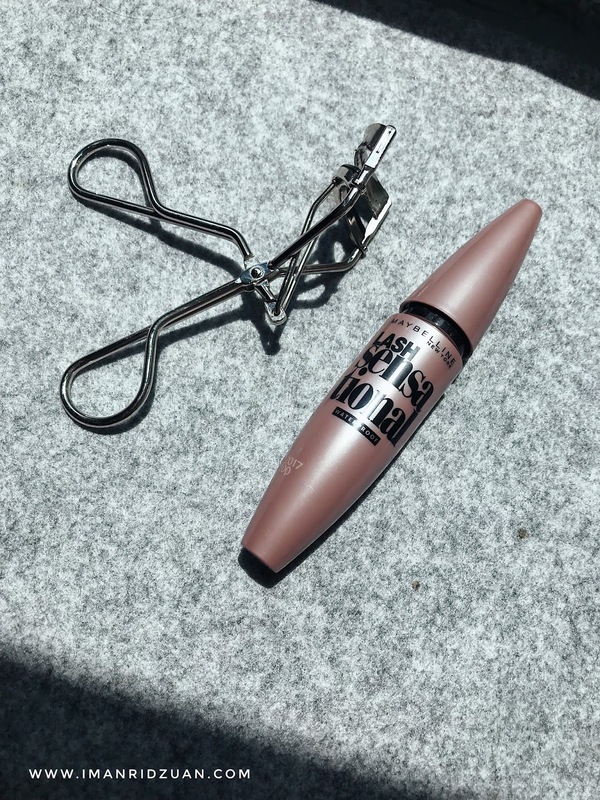 The mascara helps me the most in thickening department, and a little bit on lengthening. I have used this mascara before I had eyelash perm, and I can say that it doesn't do much with curling at all. Despite being a waterproof mascara, just like a lot of other mascaras, this one also smudges on me. I have naturally oily lids, so this is very common. I know a lot of girls swear by this mascara and say that it doesn't smudge on them at all. The picture below is my eyes condition after about 5 hours of wearing. It smudges a little on the eye corners on lower lids, and my lashes is not as curled as first applied. My eyes are looking more tired in general lol. You can also notice some mascara flaking under my right eye (left in picture). As a verdict, I do think that this is a good daily mascaras if you're just going to classes or something like that, but I would avoid it on special occasions. It is not too bad, but it is not amazing either. I would highly recommend Benefit's Bad Bang mascara if you have oily lids like me. That thing is da bomb! As for the hype for this Maybelline Lash Sensational mascara, I don't entirely agree with it.